The health of blogs is as robust as ever. They cover countless niches including lifestyle, motherhood, and traveling - and everything else in between. People read them because it adds value to their lives in some form or another. One of the most popular topics is business. For businesses, content is King. After all, companies who have an active blog generate 67% more leads than those who don’t. Blogs offer businesses a platform to share their knowledge and expertise. The goal is to build authority within your industry and niche. By creating engaging, informative, and relevant content, you would put your company ahead of the competition. If you’re looking for advice too, then this list will provide you with some invaluable resources. There are many entrepreneurs and business leaders willing to share their own, unique perspective. Leading British brand Virgin has interests in many types of businesses, from airlines to media. Headed by high-profile entrepreneur Richard Branson, the company has an active and engaging blog. The mix of content written by its own team and guest writers all offer a new perspective and useful ideas. If you’re looking for some out of the box thinking - classic Richard Branson style - then you should follow this blog. Guy Kawasaki has been involved in leading technology companies including Apple and Canva for decades. He’s also leading author of several books on startups and social media. His blog is an invaluable addition for entrepreneurs who want to read more than just posts on “how to be an entrepreneur." Topics range from business ideas to lifestyle posts, including reviews on top of the range cars and cameras. 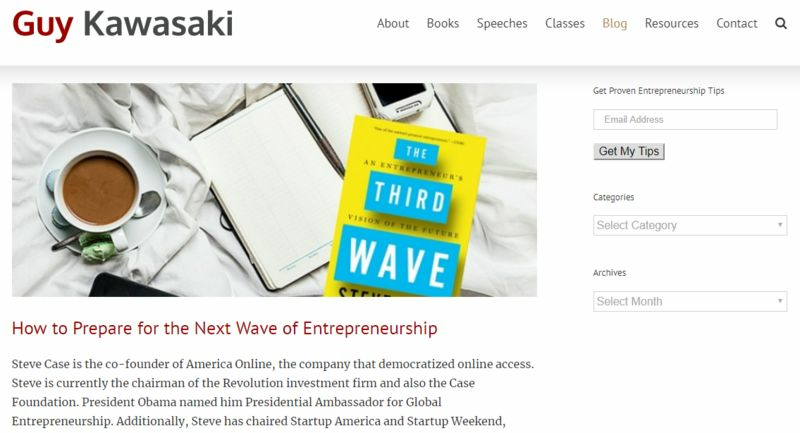 Like any reputable business blog, there are contributions from guest authors as well as Kawasaki himself. This adds variety to the content, and value for the readers. The first couple of entries had a focus on technology-led businesses. Noobpreneur.com is a blog for all kinds of small businesses. The articles are more functional and focus on what many may say is the dull side of running a business, like audits and GDPR. It’s a very active blog too, averaging around two new posts a day. Each one offers real insight, and brings plenty of value for readers. The name, Noobpreneur is a twist on “Newbie Entrepreneur." The idea is that no matter how much experience you may have, you’re always learning as much as you did on day one. Packed with engaging, informative, and original content, Fast Company is more than just a business blog. It takes a look at the latest news as well as offering in-depth reports on business stories. The leadership section covers some excellent topics on productivity and work/life balance. For business leaders, it’s worth taking a 15 minute break from your schedule to read the latest posts. As for technology, you’ll find some stories in there that’s not being covered by mainstream papers, yet entirely relevant to you. If you’re lacking motivation or ideas, a browse on Fast Company could provide some much needed inspiration. Forbes Magazine has long been one of the must-read publications in the business world. Its blog has become a leader in its own right. The Forbes blog covers news from all over the world, and you can set it to your location, whether you’re in US, Asia, or Europe. Recent posts include video interviews with global business leaders, including Allan Zeman, Chairman of Hong Kong’s Lan Kwai Fong Group. If there’s anything that Forbes is famous for, it’s the rich list. The blog version has an entire section dedicated to lists of all kinds, from wealthiest people to best employers. If you’re looking to find out what separates the very best from the good, this section is an excellent resource. This is one of the better known blogs. Entrepreneur Magazine has been around since 1977, and has several editions around the world. The content on its blog reflects this, and like Forbes, you can set your edition to reflect where you are on the globe. Together with the usual posts offering tips and advice, Entrepreneur offer videos and podcasts. The podcasts are split into a number of different series, including Enterpreneur Weekly and The Playbook - which interviews former sports stars jumping into the world of entrepreneurship. Another neat feature of the Entrepreneur blog is the “Start a Business" section. It allows you to search businesses and franchises for sale. 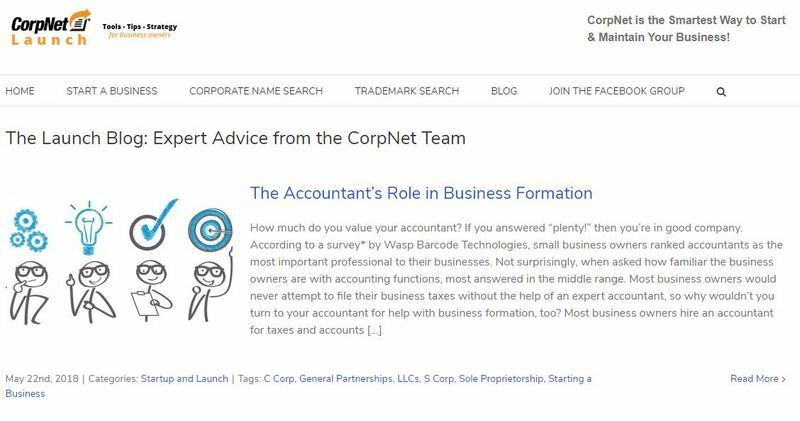 CorpNet is a no-nonsense blog for small business owners. It also serves people who are looking to start a business, with handy tips and advice from its team. The topics are hardly likely to set the world on fire, with recent posts on accountants and trademarks. However, in a sense, that’s what this blog is about. As a business owner, you’re not always looking for inspiration - but rather good solid advice on specific issues. CorpNet is a good blog for a weekly read, with posts being uploaded every few days. Location Rebel offers a course which enables people to work from anywhere in the world. The content of its blog is all about helping its readers to take control of their lives and gain freedom. The primary writer, Sean Ogle, considers himself to be a “Lifestyle Entrepreneur," and wants to help others follow his footsteps. The blog has been going for nine years, long before the term “digital nomad" became a thing. The posts are focused and concise. There’s new content uploaded every few days, so it’s a good add to the weekly reading list. Bplans offer the full range of advice and information on starting businesses but has specialist knowledge on business plans. The content is all about starting up and allowing companies to grow. Many posts are also about how to secure investment and to nail that pitch. If you’re just starting out, this will be an excellent resource for you to turn to, and build your confidence. 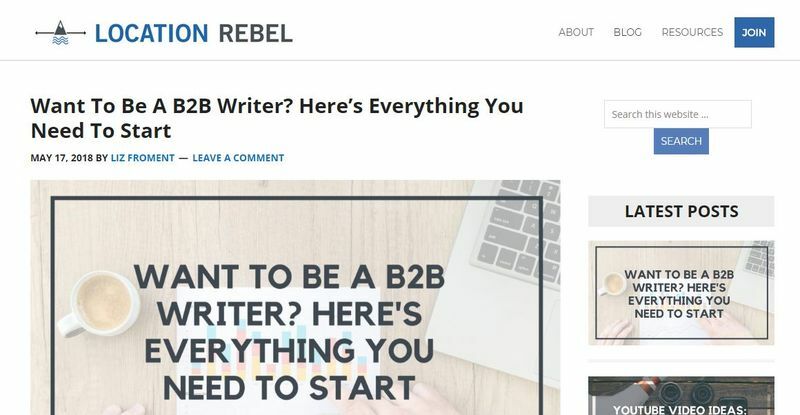 As a business, having an active blog will not only drive traffic to your main site but also give you the opportunity to stand out as a thought leader. By sharing your expertise and knowledge, you’ll be improving the reputation of your company. Before you know it, your blog could become your number one lead generator. The trick is to focus on creating content that’s relevant for your business. As you will have already seen, this does not mean simply selling your products. That will switch off your readers. Instead, give them useful amd valuable information. For readers, the top business blogs serve as an excellent platform for learning. The level of insight and different perspectives could lead you to a solution for an issue you may have been struggling with. It’s also important to pick blogs that suit your needs. 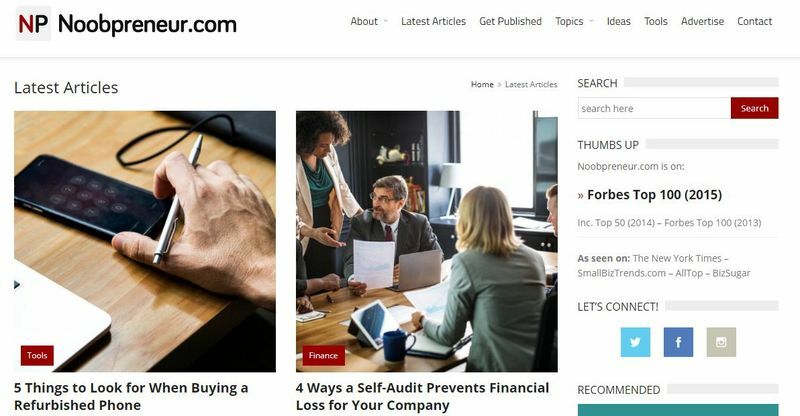 Forbes, for example, is great for stories and interviews with leading entrepreneurs but for actionable business advice, you’d be better served reading CorpNet. 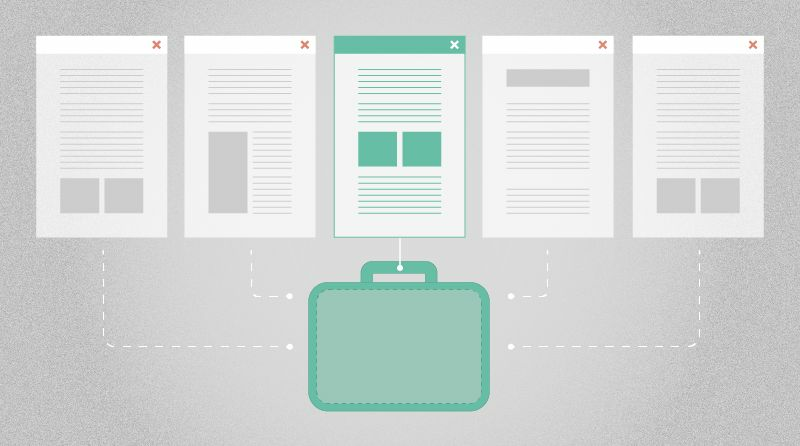 Business blogs can create a win-win situation for both companies and readers. Start yours today with Postach.io for free!